This just in: the tally of the Los Angeles Times’ HOME section’s most highly viewed stories and galleries of the year. And – wow – 4 of the top 12 are stories that I was fortunate to discover and write for the newspaper. 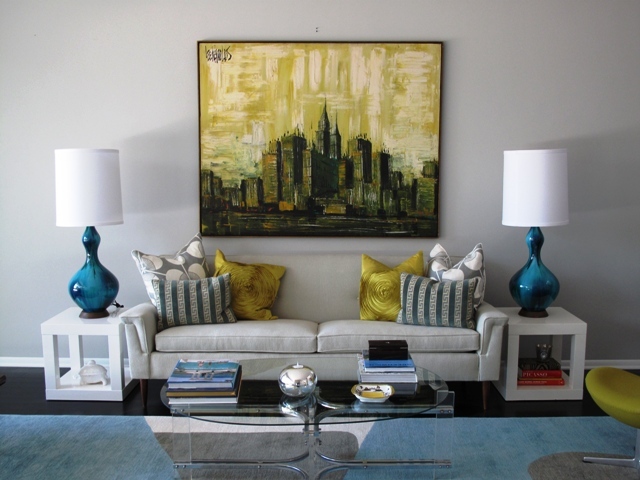 Lara and David's Hollywood Regency Living Room - a delicious palette with a retro art, lamps and furnishings. 1. In Beverly Hills, a Hollywood Regency re-do created by TV personality Lara Spencer and her husband David Haffenreffer. The Daily House in Glendale - an iconic Midcentury house. 2. 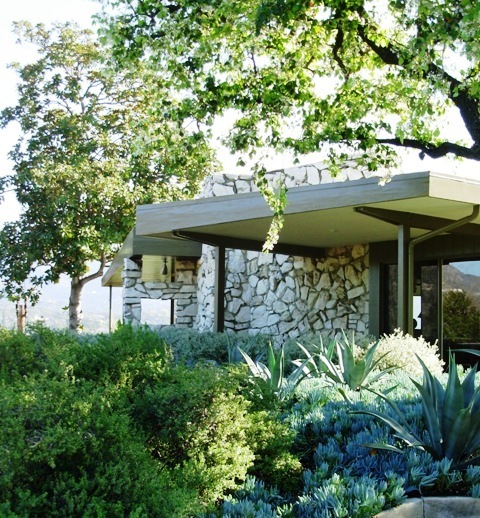 The historic midcentury Daily House in Glendale, lovingly revived by attorney Chris Burusco. 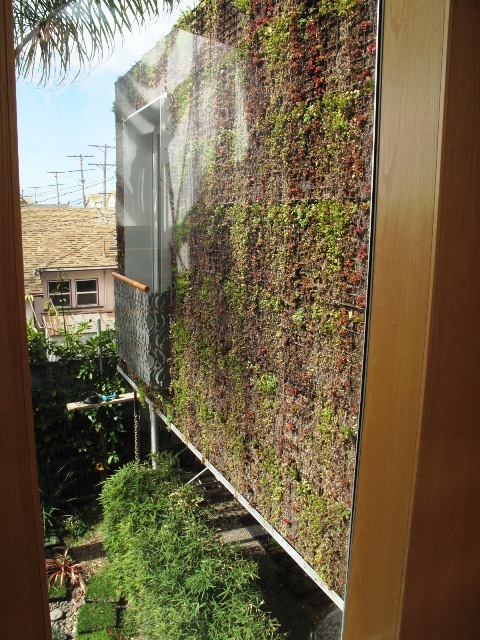 The exterior of Paul and Cicek Bricault's master suite is planted with succulents - a "green" addition in Venice. 3. The growing green Venice house owned by Paul and Cicek Bricault, complete with succulent walls on the exterior of their master bedroom addition. PS, this story also logged in as one of the paper’s most-read Home & Garden pieces of 2010. The Chartreuse House - in Venice - a bungalow-turned-modern home. 4. 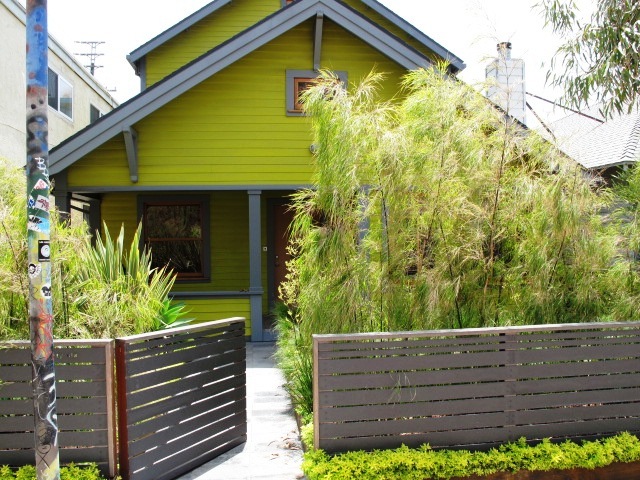 The charming, modern Chartreuse House, also in Venice, designed by Lisa Little of LayerLA and Victoria Yust/Ian McIlvaine of Tierra Sol y Mar. Gardens by Stephanie Bartron of SB Garden Design. Even though I have relocated to Seattle, I continue to report on home design, interiors and architecture for the Los Angeles Times. 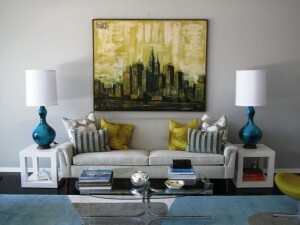 I’m looking forward to 2011 – can’t wait to discover the great design the New Year brings. This entry was posted on Wednesday, December 29th, 2010 at 12:21 am	and is filed under Architecture, Furniture design, General, interior design, Landscape Design, Writing. You can follow any responses to this entry through the RSS 2.0 feed. You can leave a response, or trackback from your own site. Strong work, Debra, and well deserved attentions for it. When your name is on a story- pour the cup of coffee, get the eyeglasses out of headband position and put your feet up. Time to read.